We minister to the homeless, travelers and the people in need in the surrounding communities. We provide food, clothing, some over night stays, gas and bus vouchers. The area churches (other denominations ) are very involved. 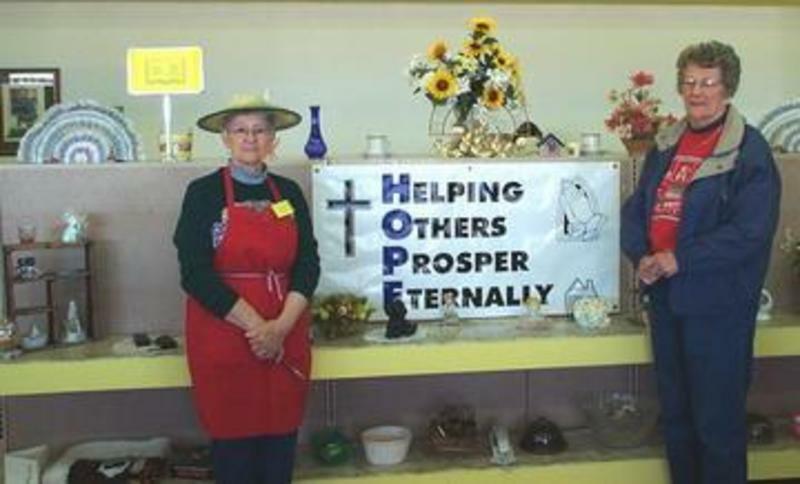 Pictured are Louise Mitchell and Gayle Morris.